To avert this danger and to reverse the process of societal decay, it is imperative for Eritreans to fully understand the nature and characteristics of the Rapacious Regime -“mother of all evils in Eritrea”. The synergies between extractive political and economic institutions of PFDJ have created a vicious cycle which seems to persist. Breaking this vicious cycle and replacing it with a “virtuous cycle” – synergies between inclusive political and economic institutions – is the solution. It is strongly believed that the fundamental contradiction that should take precedence in our struggle for justice, rule of law and democracy in Eritrea is the one between those who want to continue to promote the “vicious cycle” and those who want to break the “vicious cycle” and replace it with a “virtuous cycle” – between the dictatorship and injustice, and pluralism and justice, respectively. Differences that emanate from other societal cleavages, such religion, culture, language, region, historical background (ELF vs. EPLF), etc, do not and should not constitute as basic contradictions in the Eritrean society. Since inclusive and plural political and economic institutions allow as well as encourage the participation of the great majority of the people; and they also distribute power broadly in society, such issues (differences) are addressed by the normal process of the democratic transition under the “virtuous cycle”. It is important to underline the fact that the solution to the Eritrean quagmire is to dismantle the Rapacious Regime and to replace its absolutist and extractive political and economic institutions by a pluralistic and inclusive political and economic instructions with a united front of the democratic forces of Eritrea, both inside the country and in the Diaspora. To safeguard the Eritrean Identity and Unity, there is a need for the Eritrean public to coalesce on the side of the democratic forces of Eritrea and hasten the demise of the ruthless Rapacious Regime in Eritrea. It is also vitally important for the Eritrean people to pay attention to the fact that “opposing the Eritrean Government” does not amount as “opposing the State of Eritrea”. The State of Eritrea which includes four elements (the population of Eritrea; the Eritrean Land, Sea and Space; the Eritrean Sovereignty; and the Eritrean Government) is not equivalent to the Eritrean Government. The State of Eritrea is composed of all Eritreans. Whereas, the Eritrean Government consists of only few selected individuals who run the organs of the government – executive, legislative and judiciary – where there is a strong overlap among these organs in Eritrea. 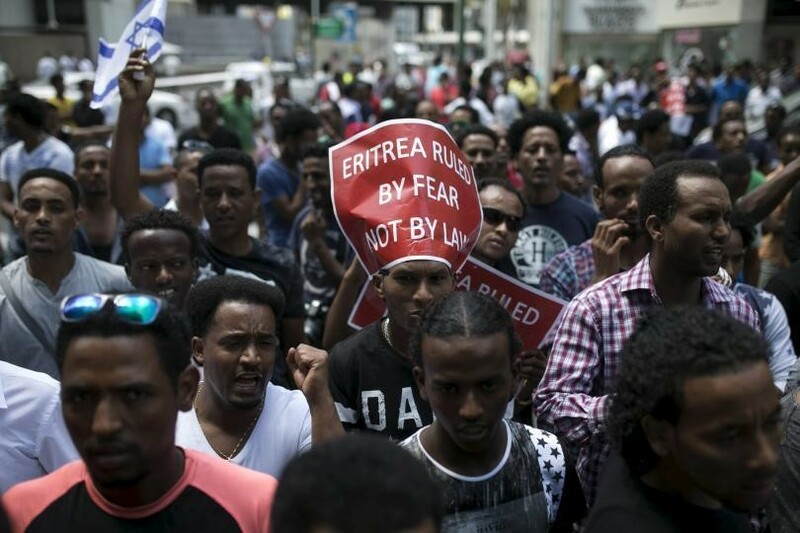 Thus, opposing the Government of Eritrea would mean opposing these selected individuals and not the Eritrean people or the Eritrean Sovereignty. Actually, opposing this group of PFDJ elites is not only a legitimate action but also a necessary and the only way forward for the survival of Eritrea as a nation and Eritreans as a society. Let the voices of reason and justice win over the voices of evil and injustice and for that to happen a “united front” of the Eritrean people is required.